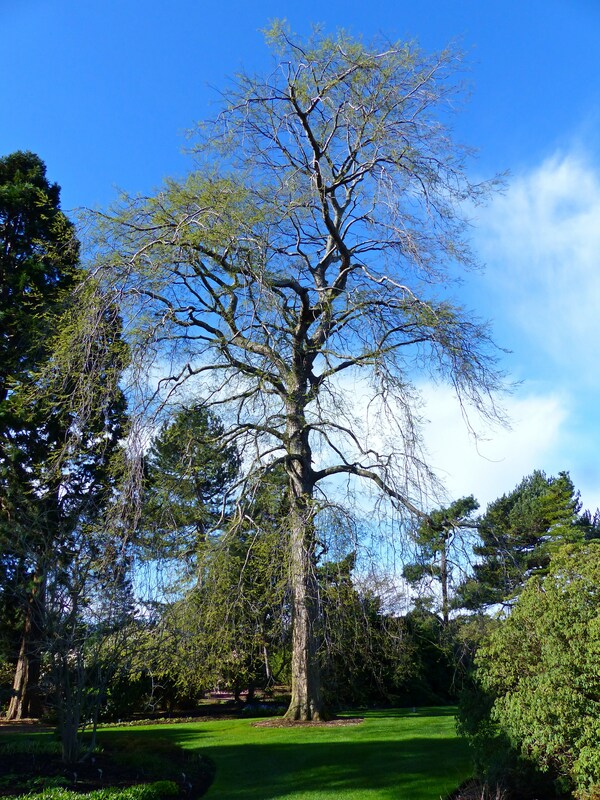 One of the tallest trees here in the garden at Inverleith is the Nothofagus obliqua in the Woodland garden. 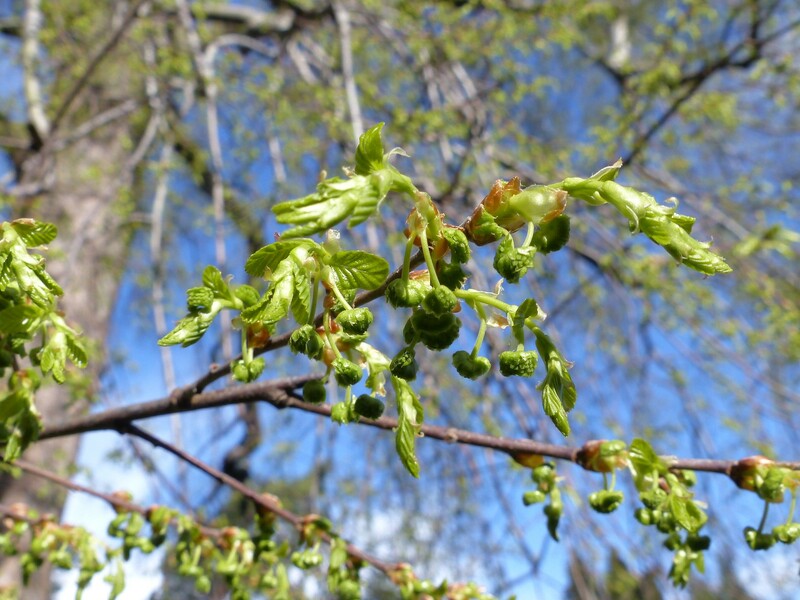 Nothofagus obliqua grows well in the British Isles but doesn’t perform well on chalk soils. This particular tree was grown from seed collected by Harold Frederick Comber who studied for the diploma of Horticulture here at the Royal Botanic Garden Edinburgh. By all accounts he was an excellent student and the seed that this tree was grown from was sent back from one of his 2 subsequent expeditions to the Andes in 1925-26 and 1926-27. The first leaves are just emerging this year. The leaves are plicatly folded in the bud like a concertina. The flowers are also visible on a single stalk. It is interesting that the whole shoot emerges from the bud not just a single leaf, its architecture and arrangement already predetermined. All Nothofagus are from the Southern Hemisphere, they are the Southern Beeches. There are 40 species and all but seven species are evergreen. Nothofagus obliqua is deciduous and is native to South America. The extensive forests of Nothofagus obliqua in the central valley of Chile have given way to arable and pasture land since colonisation and only Isolated trees and copse’s remain. Full forests do still exist in the more remote parts of the Andes. 13 species of Nothofagus are grown in the RBGE collection, why not see if you can find them all! You may have to visit Logan, Benmore and Dawyck to tick them all off. RBGE has been involved in research and collaborative projects in Chile for more than a decade. For more information on our work with the Chilean flora and people of Chile please follow these links. A cheat from Plant Records. This might make it a bit easier to see the other Nothofagus at RBGE.